What does it take to stand out in the crowd? Brands often bet on expanding advertisement, promotions or marketing. 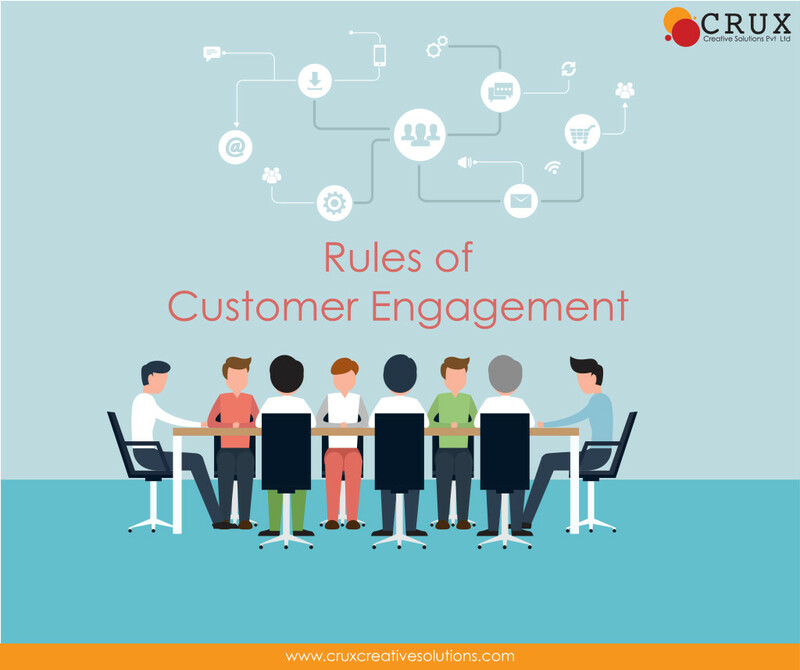 While each of these elements is integral to any successful campaign, they contribute to a much bigger picture, termed as rules of Customer engagement. Today’s millennial generation responds to deeply personalized, ongoing and meaningful experiences. Marketers must understand that ‘good enough’ equates to poor customer experiences. Brands now have to go above and beyond, to build a strong following by meeting consumers where they are, connecting with them how they want to treat them as individuals. Customers nowadays have smartened up since the days of bulk marketing emails. Today, marketers must connect and communicate with each individual based on his individual tastes and interests. Whether it is data analysis, re-targeting emails or social media, marketers must first listen to their customers through all traditional and digital channels. Perhaps a shopper tweets that she is looking for a birthday gift for a relative. A targeted email might highlight the products that make perfect gifts, increasing the likelihood that the customer will click and convert. Leading every interaction with the customer’s needs and wants in mind will dramatically improve conversion for brands. Big data is the new normal for brands. To reap the benefits of business intelligence, one needs to look closely at how a brand collects, analyzes and interprets data for smarter business decisions. The millennial generation offers a goldmine of meaningful data points by virtue of its heavy use of technology, mobile devices and apps. Unify that intelligence with every part of the business including marketing by extracting meaningful information about customers from every channel, and applying predictive analytics to predict consumer behavior. Data-driven organization have a competitive edge and ultimately, the most success at engagement. Consumer demand for engaging and interactive experiences is at an all-time high in current digital world. Every human connected to internet with a smart phone is a probable customer. Providing options like a virtual stylist or, how-to video tutorials, intuitive check out processes and a seamless experience across all platforms elevates a brand’s engagement strategy. Consumers are looking for feedback from their clothing about performance, sleep and calories burned just as much as marketers want feedback into their interests and preferences. Personalization can go well beyond product recommendations to create a feedback loop that unifies consumers and brands. Invest in personalization and emerging technologies to create a strong sense of connection. In 2016, marketers will need to step out of their comfort zones to increase profitability. We’re already seeing brands to reach more customers in a meaningful way and in innovative ways. It’s easy to grow complacent and stick to whatever already works, but marketers have a unique opportunity to experiment with customer engagement and be among the first to capitalize on emerging tools and technologies. Applying these new rules to the overall marketing and business strategy will increase customer loyalty through better engagement.